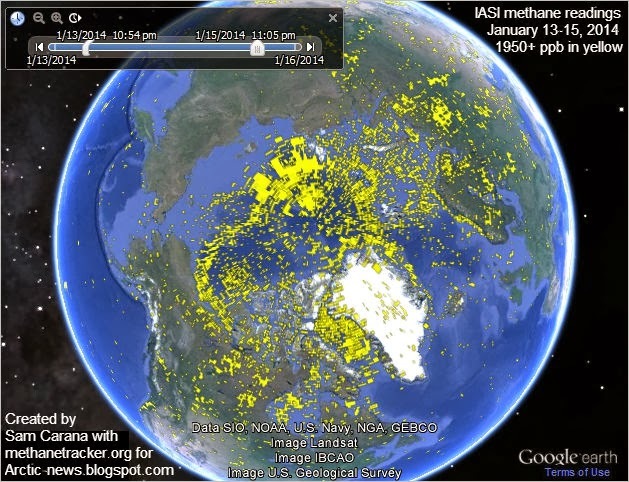 Is there a guess as to why there are large concentrations around the Mongolia/Gobi desert? It is so arid, I wonder how CH4 collects over it. Is the CH4 local in origin or does it collect there from various other locations? 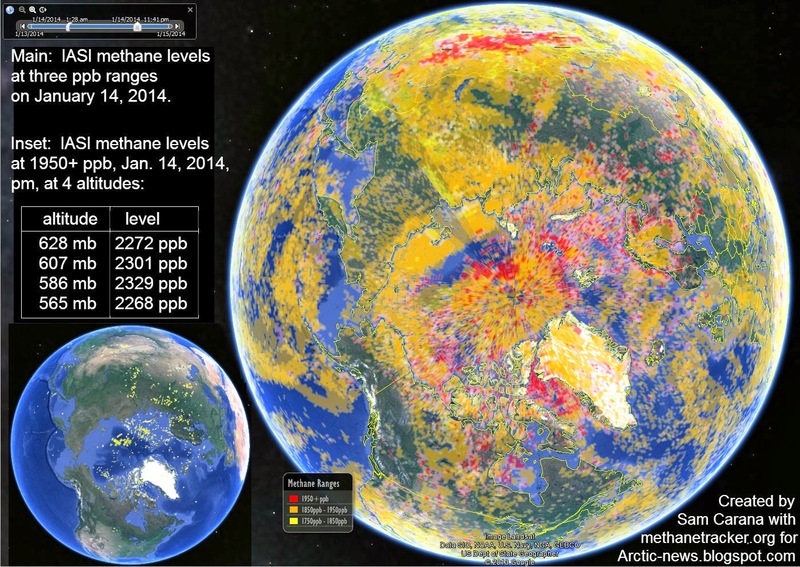 The Arctic-news blog focuses on events in the Arctic, but methane releases from hydrates elsewhere have been discussed in a number of posts at the methane-hydrates blog. A large slot in the area of ​​old ice. Do not look at the comments at the bottom. 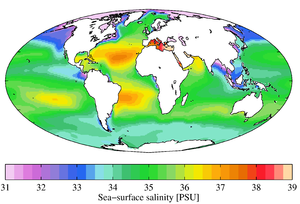 In Poland, the global warming, it is still difficult subject. I am most alarmed at the trend, and the putative mechanisms in play, working all together. 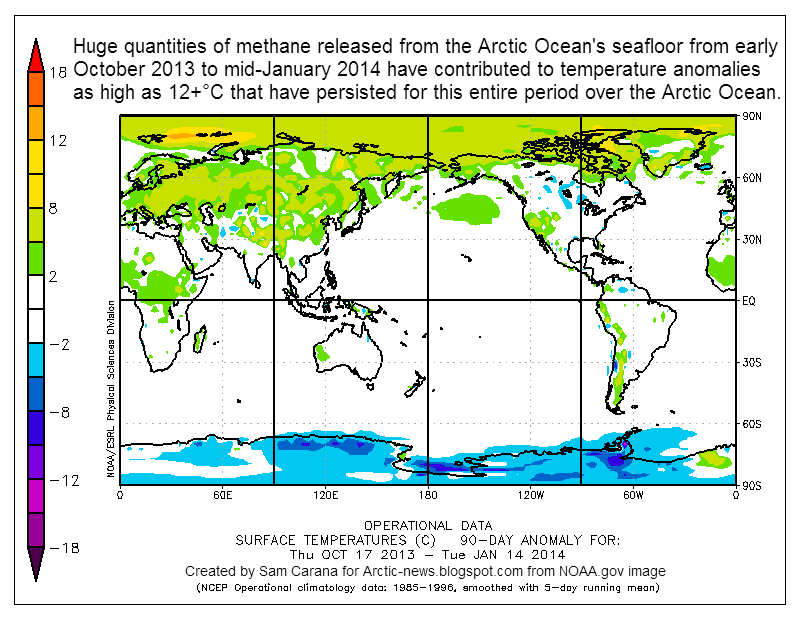 I wasn't aware that methane release was accelerating so much from arctic sea bed, through the failing ice shield. 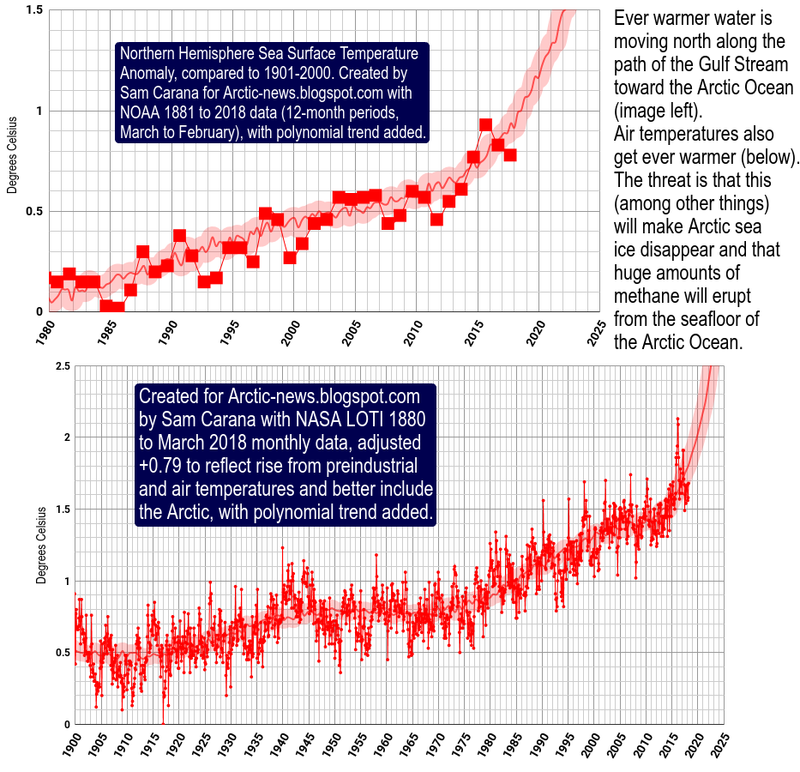 Especially near the time of expected peak seasonal ice growth . Who else has analysed the data, and supported the interpretation? How long will this last? Relation to freak winter weather, aka "polar vortex", felt in the USA? 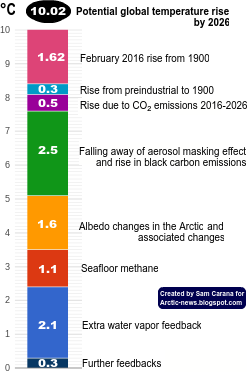 In the long run, its the loss of albedo, extra CO2 from broken down methane, and change of polar climate, leading to further ice sheet and permafrost melt, and evidence that arctic tipping points have been breached, all at once. 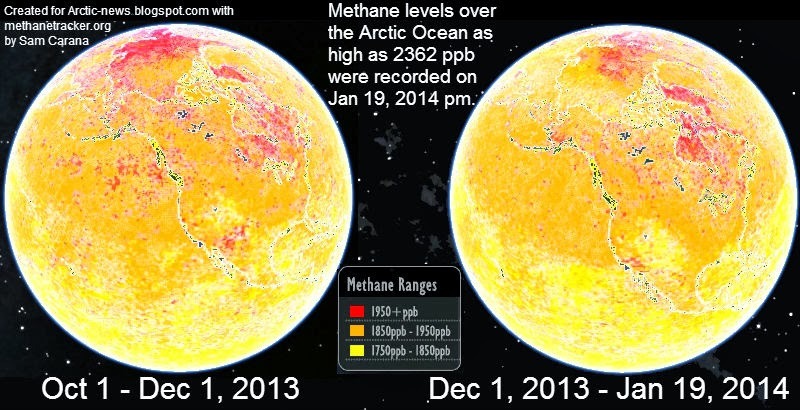 What is the estimated rate of methane release (yearly), and likely effect on global average methane? 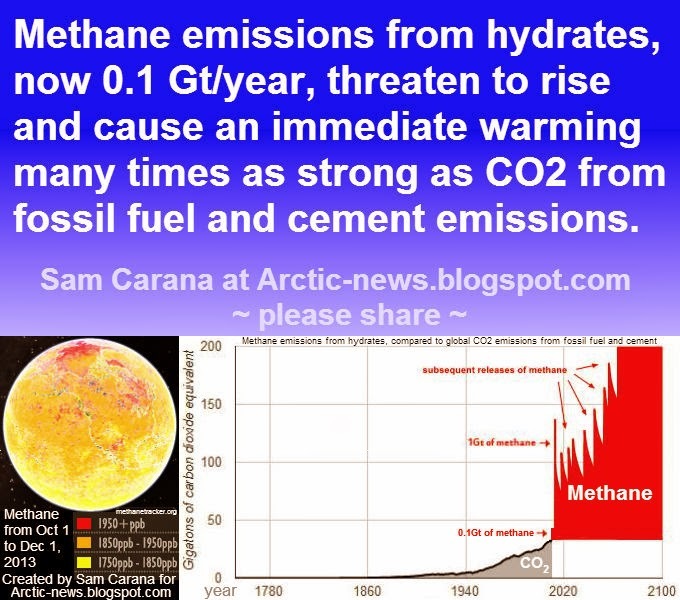 Hi Michael, I estimate that methane emissions from hydrates amount to 99 Tg annually, a figure that is growing rapidly. 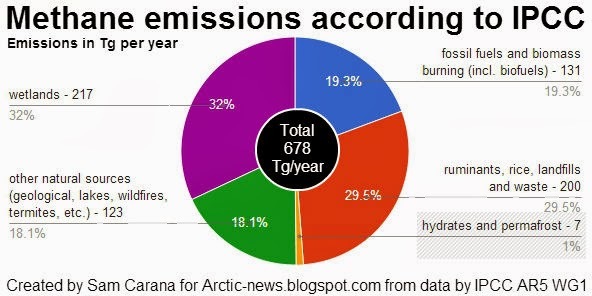 I've just added images to the post to put that figure into perspective.